The careers of these three Black Americans are well documented, and they are among our most accomplished, recognizable (and rightly so) leaders where U.S. diplomatic and foreign affairs leadership are concerned. However, there are still many of their Black diplomatic peers and contemporaries who are less known, explored, or celebrated. One such important historical group is those who have served – and continue to serve – the United States as its leaders in official diplomatic missions, international organizations, and on designated global policy issues of critical national interest across the world – United States Ambassadors. Carlton McLellan is a Senior Advisor at Global Ties U.S. and founder and President of the nonprofit consulting firm MYinternational, Inc. His Ph.D. is in international education policy studies from the University of Pretoria, South Africa. As a Senior Fellow at ADST, he focuses on educating, celebrating, and critiquing the lives and impacts of Black Americans who have held the rank of U.S. Ambassador, and also building the ADST’s Bunche Legacy Project, which seeks to education the public on the important contributions of Black/African Americans to U.S. diplomacy and foreign affairs. These 151 Black Americans have served on 213 different occasions in over 100 ambassadorial postings worldwide; and approximately 40 of them have served multiple tours as U.S. Ambassador at different postings. Among the current list of Black Americans who have officially held the position of Ambassador, 98 (65%) have been men, while 53 (35%) have been women. Geographically, the countries of Sub-Saharan Africa have hosted a Black American Ambassador most frequently (128 times or 60% of the total postings), with Liberia topping the country list with eight (8). 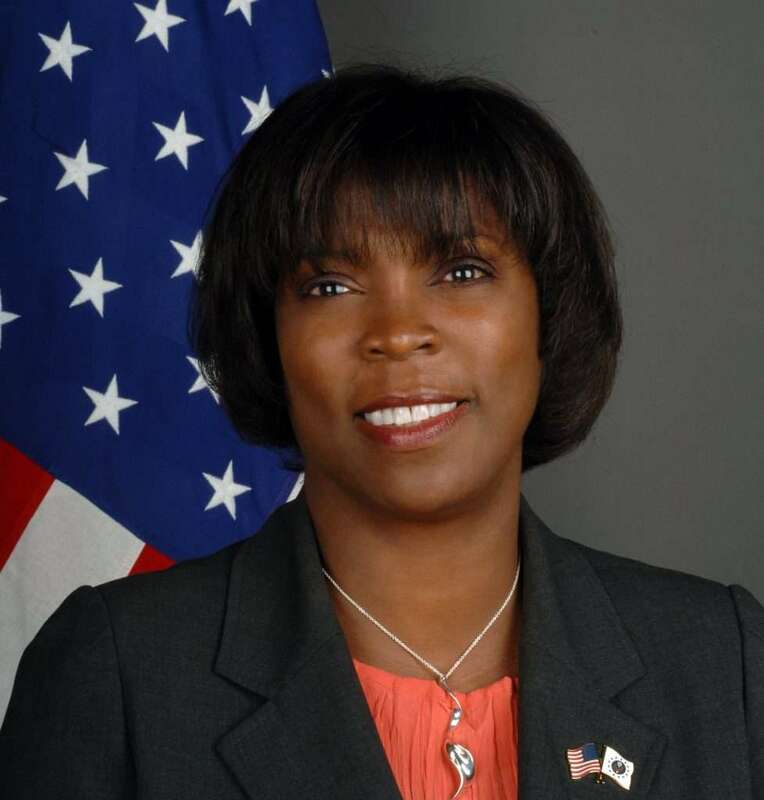 The Caribbean has been the other active region with 13 Black American ambassadorial appointments; while the United Nations has also seen several Black Americans serve it as U.S. Permanent Representative with the rank of Ambassador, having hosted nine (9) across its portfolio of agencies. Politically, Democratic presidents have appointed and successfully had a Black American confirmed as U.S. Ambassador by the U.S. Senate on 114 occasions, while their Republican counterparts have done so on 99 occasions. President Barack Obama was the most active and successful appointee of Black Americans to the ambassadorship, having done so 45 times. However, President George W. Bush was close behind with 44 successful appointments of Black Americans to the rank of Ambassador. Professionally, Black American Ambassadors have come from a diverse background of disciplines and gone on to represent the United States as its Ambassador in an equally diverse array of postings. Many chose international affairs as their profession, as 85 (56%) have been in the U.S. Foreign Service (known as Foreign Service Officers) and often referred to informally as career appointees. However, 66 (44%) of the Black American Ambassadors have come from sectors such as business, medicine, law, academia, religion, community organizing, and other disciplines illustrating significant diversity in their backgrounds and training. Their classification is often referred to informally as non-career or political appointees. It is not clear if it is because of the small and exclusive nature of the Black Ambassadors’ “club” – less than 7% of the number of all U.S. Ambassadors historically – or because historians and scholars have not yet seen the importance of a specific and focused exploration of the contributions of these Black leaders, but regardless of the reasons, many of the names, faces, and accomplishments of these 151 men and women are not well recognized, particularly in the Black community. Exceptions might include Ambassador Andrew Young (United Nations, 1977) because of his work as a civil rights activist, or as Mayor of Atlanta helping to bring that city the 1996 Summer Olympic Games. Those in the corridors of the State Department, or with broader diplomatic knowledge might know the names of Ambassadors: O. Rudolph Aggrey (Senegal and the Gambia, 1973; Romania, 1977); Aurelia Brazeal (Micronesia, 1990; Kenya 1993; Ethiopia 2002); Ronald Palmer (Togo, 1976; Malaysia, 1981; Mauritius, 1986); and Ruth Davis (Benin, 1992) because of their, and many of their other colleagues’ direct impacts on moving forward the agenda of a more representative Foreign Service. But, lesser known are milestones such as: Edward Dudley (Liberia, 1949) becoming the first Black American Ambassador; Clifton Wharton, Sr. (Norway, 1961) becoming the first Black American to be appointed U.S. Ambassador to a non-African country; and Patricia Roberts Harris (Luxembourg, 1965) becoming the first Black American woman to serve as U.S. ambassador (above right). Ambassador Terence Todman achieved the amazing diplomatic feat of being appointed on six different occasions in six different ambassadorial postings (Chad, 1969; Guinea, 1972; Costa Rica, 1974; Spain, 1978; Denmark, 1983, and, Argentina, 1989), giving him the distinction of being the Black American with the most such leadership postings, and only second to one other U.S. Ambassador in history who had seven. Just as impressive are the careers of Ambassador Edward Perkins (Liberia, 1985; South Africa, 1986; United Nations, 1992; Australia, 1993, at right) and Ambassador Johnny Young (Sierra Leone, 1989; Togo, 1994; Bahrain, 1997; Slovenia, 2001) – with four such appointments each in their Foreign Service careers. 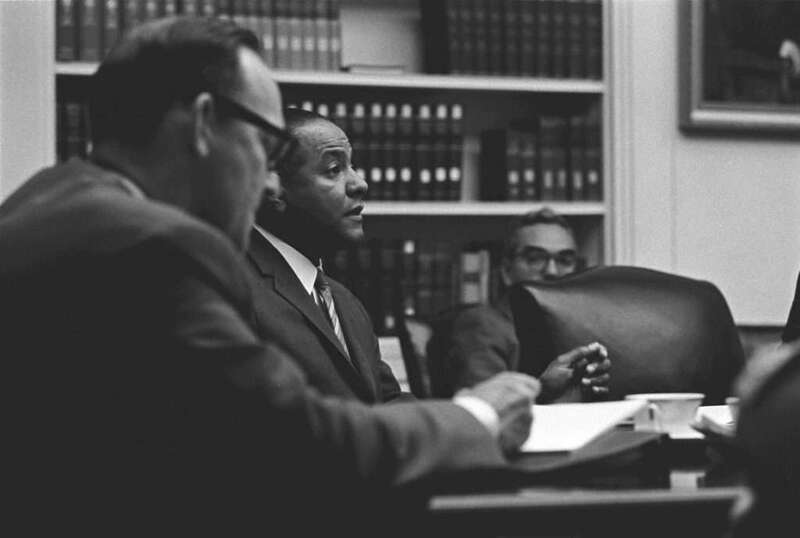 Later, Cindy Courville would become not only the first Black American to be appointed U.S. 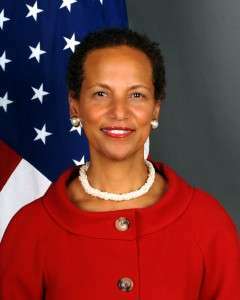 Ambassador to the African Union (2006), but the first American period. A few year later, in 2010 the three most powerful Americans within the United Nation’s structure, were Black women U.S. Ambassadors: Susan Rice (U.S. Mission to the UN, New York, appointed 2009); Ambassador Betty King (U.S. Mission to the UN, Geneva, appointed 2010); and Ertharin Cousin. In addition to these milestones, many Americans may not be aware of the significant roles that Black American Ambassadors have played in influencing high-profile and important international events. For instance, how many know that Ulric St. Clair Haynes, Jr., while U.S. Ambassador to Algeria from 1977 to 1981, was instrumental in the negotiations that ultimately led to the 1981 release of American hostages in Iran during the well-documented Iranian Hostage Crisis? How many know that Ambassador Todman was also one of the first high-level American diplomats sent to Fidel Castro’s Cuba, where he led negotiations for the establishment of the U.S. Interests Section in Havana? And that while Assistant Secretary of State for Western Hemisphere Affairs (the first Black Foreign Service Officer to become an Assistant Secretary), he helped negotiate the treaty that ultimately resulted in Panama’s assuming ownership of the Panama Canal, and later while U.S. Ambassador to Spain (appointed 1978) he was instrumental in the negotiations that led to Spain’s entrance into NATO. 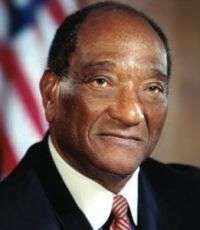 How many know that Edward Perkins, with his 1986 appointment, was the first Black American to be appointed as Ambassador to apartheid South Africa? According to former Secretary of State George Shultz in his forward to the book Mr. Ambassador: Warrior of Peace, Ambassador Perkins’ performance in South Africa helped lay the groundwork for the end of apartheid. Perkins also played a vital role in the diplomatic process that brought about independence in Namibia. How many know that James Joseph was the only U.S. Ambassador to South Africa (appointed 1995), who had the honor of arriving and presenting his diplomatic credentials to President Nelson Mandela, South Africa’s global human rights icon and first democratically elected leader? How many know that Ambassador Betty King (at right), while serving as U.S. Representative to the Economic and Social Council of the United Nations (ECOSOC), was the principal U.S. negotiator on the Millennium Development Goals (MDG), a global agreement to reduce poverty and human suffering through multilateral actions? Although mainstream media has paid little (if any) attention to the accomplishments and influences of these Black leaders, publications geared toward a Black readership have thankfully attempted to keep us informed. For instance, the Afro American has printed stories about Black American leadership in diplomacy, such as article about four Black women ambassadors (October 28, 1986); or a recent articles about Ambassador Susan Rice’s return to the Obama foreign policy team in the White House (June 7, 2013). Jet magazine has possibly been the most engaged over the years, beginning such coverage in the 1960s, with pieces on Black ambassadorial nominations, confirmations, and swearing-ins (i.e., Jet May 12, 1977 and November 15, 1999); stories of arrivals at ambassadorial postings (i.e., Jet October 5, 1998 and December 21,1998); stories of activities while serving as ambassadors (i.e., Jet June 23, 1977 and May 31, 1982); post-ambassadorial activities (i.e., Jet August 25, 1986 and August 6, 2001); awards they have received and celebrations of their service (i.e., Jet January 18, 1979 and April 9, 1990); and obituaries announcing the passing of these important Black leaders (i.e., Jet October 26, 1967 and May 14, 1990). Similarly, Ebony magazine has tried to cover aspects of Black American Ambassadors. For instance, it has profiled Carl Rowan, U.S. Ambassador to Finland (appointed 1963) in its January 1964 issue (in photo, speaking at an NSC meeting in 1965); Hugh Smythe, Ambassador to Syria (appointed 1965) in its December 1966 issue; and Donald McHenry, U.S. 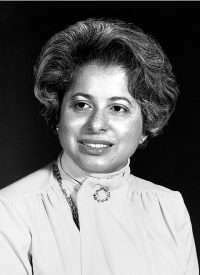 Permanent Representative to the United Nations with rank of Ambassador (appointed 1979) in its March 1980 issue. More recently it covered stories related to Susan Rice and the challenges she faced as her name was considered as the next Secretary of State following her tenure as U.S. Ambassador to the United Nations, in its November and December 2012 issues. Other vital sources of information on Black American Ambassadors can be found through reading and hearing their own words in oral histories conducted by ADST and others. These oral histories are excellent sources of rich data and first-hand accounts from Black American Ambassadors, and provide insights into U.S. relations with countries and institutions around the world. Research and cultural centers also offer countless sources of resources and materials, both online and in person. For instance, the Schomburg Center for Research in Black Culture in New York City is one. There is also the Amistad Research Center at Tulane University, which holds important papers such as those of Ambassador Todman. 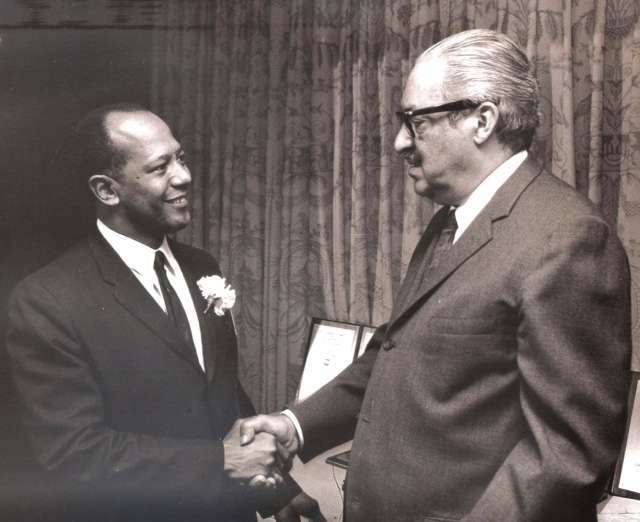 The Moorland-Spingarn Research Center at Howard University also houses the papers of Black American Ambassadors, such as those of Ambassador Ronald Palmer (at right), who served in Togo (1976), Malaysia (1981), and Mauritius (1986). But, even with such rich data sources, what seems missing is more focused study of who these men and women were and what contributions they have made to Black History and beyond. The professional diversity, common capacity for leadership, and varying personal characteristics of these individuals suggest that their stories as Black American leaders, appointed by the highest levels of the U.S. foreign policy establishment, may be valuable to those in foreign policy and international affairs, and also to those interested in leadership studies, inspirational stories of achievement and success, or challenges and hurdles faced by those in such positions. Since little is known of the personal journeys of many of these Black American diplomats, uncovering and illustrating more of their stories can serve as intellectual, personal, or professional motivation and stimulation for future generations. As we reflect on the history of Black contributions to American society during Black History Month, let’s make a late resolution: to read, learn, and speak of Black contributions and leadership in U.S. diplomatic and foreign affairs, and we can start with speaking about those that have climbed to the leadership positions and guided the way: Our American Ambassadors!